*INCLUDES CC*For more realistic selling of your horses xD Includes 7 adult horse stalls, 3 foal stalls, a buyer's/seller's ring, 3 wild/ untrained horse pens, a test ride school and a mini shop :3 DOWNLOAD HERE! Includes 12 fully working jumps n a 50x50 lot. Great for shows and training! INCLUDES CUSTOM CONTENT! 6 home made stables, a tack room, one bed/ one bathroom house, 2 fields and a driveway, perfect for those who want to keep a few horses but not a whole equestrian centre full! HAS SOME CC! A lovely family home for 4. 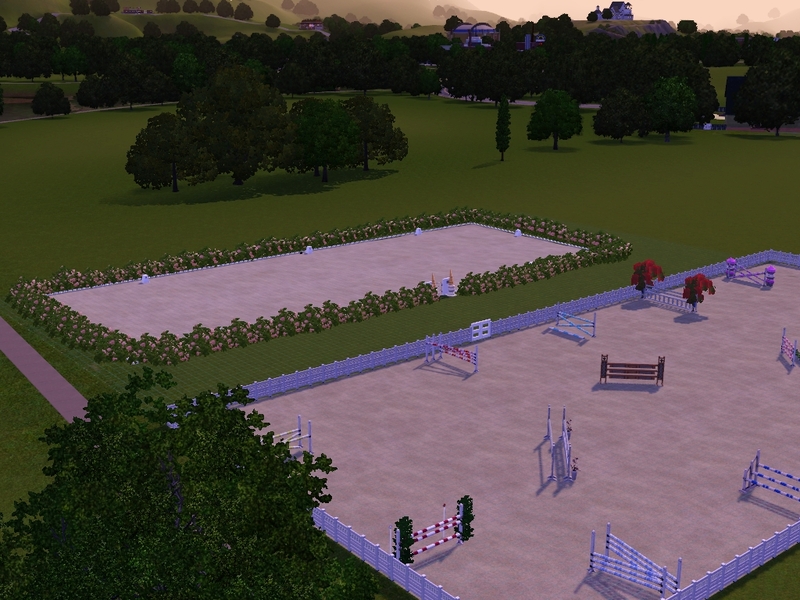 Includes 2 stables for those competitive kids and a small field. House contains 3 bedrooms (Girls) and 2 bathrooms. Also a small garden with enough space for a kennel and miniature playground for the children! INCLUDES CUSTOM CONTENT + STORE ITEMS AND OBJECTS FROM LATE NIGHT, BUT IT'S NOT REQUIRED. This is a medium/large sized home with a small paddock and 5 English style Stables. Also includes a mounting area and a bath area for the horses. House is unfurnished. Also includes a round pen for riding!